Dubai: Using the 'F-word', irrespective of the person’s nationality or context, is a crime punishable by law in the UAE, legal and language experts have said. Last week the Dubai Courts heard a case in which a Western expat was accused of insulting a telecom operator staff when he used the 'F-word'. But it was argued in court that the man had only used a figurative expression and did not mean to inflict an insult. 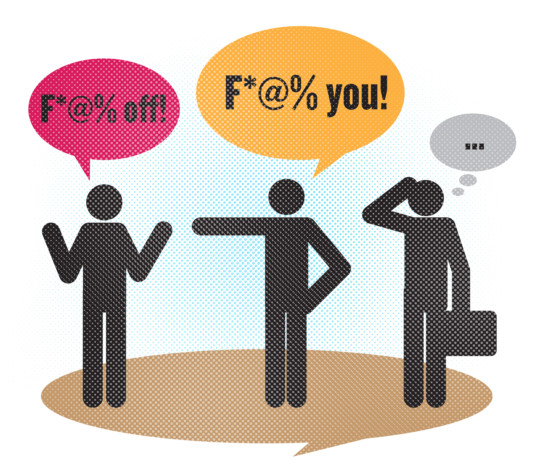 As it turns out, there are many cases involving the 'F-word' in the courts. But there is confusion on what constitutes language etiquette in the UAE and more important, the legal implications of the free use of slang, especially the 'F-word', in public. He said: “In one of the cases I handled, my client was a European expat (complainant) and another European expat (the accused) used the words ‘F*** off’ against him and I pleaded to the judge that if the person is disgracing the honour of my client, he needs to be punished. But what exactly is the law regarding use of such words in the UAE? According to Wahab, Article 373 of the Penal Code clearly states that: “Detention for a period not exceeding one year or a fine not exceeding Dh10,000 shall be imposed upon anyone who, by any means of publicity, disgraces the honour or the modesty of another person without attributing any particular act to the defamed party. “Detention for a period not exceeding two years and a fine not exceeding Dh20,000, or either of these two, shall apply if a public official or one who is in charge of a public service has been abused during, because of, or on the occasion of performing his duty or public service, if the abuse affects the honour or injures the reputation of families, or it is noticed that the abuse is intended to achieve an illegal purpose. “However, if the abuse is published in any newspaper or printed media, it shall be considered an aggravated case. Wahab said Article 374 of the same code also states: “Punishment by detention for a period not exceeding six months or by a fine not exceeding Dh5,000 shall apply if slander or abuse is transmitted by telephone, or face to face with the victim and in the presence of a third party. A language expert said using the 'F-word' is not acceptable even from a purely etiquette point of view. Abu Shaqra, General Manager of the iEnglish language institute said: “Street language is not acceptable."